I have long neglected Happy Disco and now TIF is over. I’m still going to finish these before the year is up! AliceinAlice is an idol group formed from the theater company “Alice in Project.” Please note that this is not from Alice Project, and are completely unaffiliated with that. However, since AliceinProject is a theater company, this group promises to have really interesting, theatrical live performances. However, what little I’ve seen of this isn’t really true. The two PVs I’ve seen are trying to be interesting, but aren’t really competently made. Even when they’re competent they’re not particularly good. Perhaps this is being too harsh. By idol group standards, they actually seem to be doing some interesting things. The short PV preview to Cold Bullet is pretty intense. However, I’m just not feeling them, especially when I feel like they should be able to do much more. Everyone remember Lovely Doll and Doll Elements? Well this is the newest group in what has become the Arc Jewel idol collective of sorts. 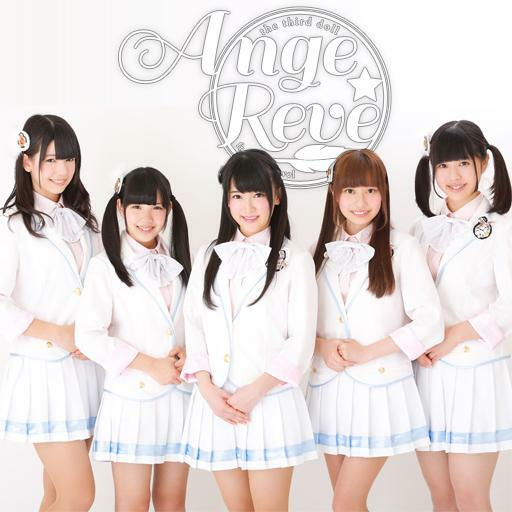 Ange*Reve is a five member unit that is brand new. They made their debut in April of 2014, and as such have only been around for a few months so far. They just released their first single, “Yuukan na Koi no Serenade” this August. This group, which means “Angel*Dream” in French, and are, as expected by that kind of name, going for a cute image. Their debut PV confirms that, focusing on cute imagery and overexposed light. Even though this group is nothing new, I’m finding myself liking them. Yuukan na Koi no Serenade is a really solid idol song, and these girls are remarkably assured performers for being so new. Their dancing and singing is all passable and all the girls seem really cute. This group is so far nothing revolutionary but a fresh group doing a tried and true thing. That said, it’s hard to know the future of groups like this, so I’m interested to see where Ange*Reve goes from here! Still waiting on that cover of It’s Raining Men, girls!! Weather Girls is a group of seven girls from Taiwan. They originated as a group that mainly focused on weather forecasting in Taiwan. However, in 2012, they made their debut as an idol group in Japan. Since then they’ve had activities in both Japan and Taiwan, though they focus much more on their idol career in Japan, it seems. The thing that I find kind of interesting is that they’ve still continued their career as weather forecasters, though I have to admit I don’t know the extent. In 2013 they went through the courses and examinations to become licensed weather forecasters in Japan. All the members have a designated day of the week and an element of the week (though really this is just a type of weather), as well as the standard image color. While this group’s Oricon numbers aren’t great, they’ve certainly been making a name for themselves. They tend to go for a sexier, more cool approach than many Japanese groups, so if that’s what you’re after you might want to check out Weather Girls. Ultimately, they haven’t really caught my interest. When I want to go for this type of thing, I feel like there are just as good, if not better options with KPop groups or E-Girls. Still, I know a lot of people like them, so you might want to give them a shot! Ahh, Usa Usa Girls Club. I know every time I write about them I make this comparison, but they are seriously like Sakura Gakuin. They are another group that has the girls graduate when they reach high school. Perhaps more than that, though, they have produced two signifcant idol groups as their subgroups: Rhymeberry (one of my favorite idol acts) and Death Rabbits. 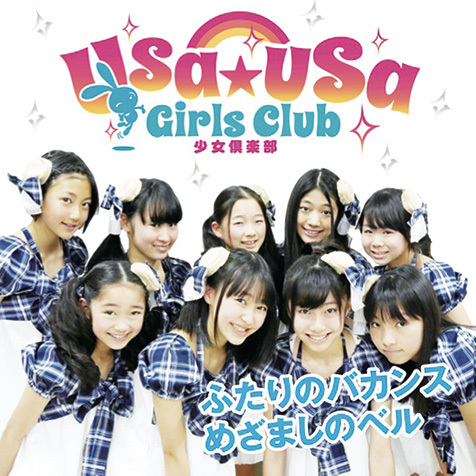 Unfortunately, while Sakura Gakuin boasts some very fine performers and performances, Usa Usa Shoujo Club has never really done it for me. The girls seem fine, but neither the songs nor the performances stand out. Their debuted subgroups are their biggest claim to fame. That’s not to say they’re bad performers. They just don’t do a lot to stand out. They don’t release much in the way of singles, and tend to be much more live performance focused, which is tough for us foreign fans. At the end of the day they are a pretty standard group with young members that have produced some very interesting subgroups. And that’s about it. Ultra Girl is a five member unit from Spiral Music; if you’ve followed TIF before then you should know them as the label behind the idol group Power Spot. Ultra Girl has released four singles, the latest being “888 (as in “pachi pachi pachi”) and their fifth single is coming out in September. They’ve been around since 2012, so at this point the five members do have some solid experience, if you prefer to avoid the groups that have just formed. This group does have a solid social media presence; all the girls themselves have twitter accounts and blogs. This is almost a given for larger groups, but Ultra Girl seems like a decently connected group for being so small. Beyond that, though, there’s not too much noteworthy. 888 is a cute song, but not all that memorable, and the performances are solid but not great. I don’t know much more of what to say about them, to be honest, other than that they seem cute and I hope for the best for them!